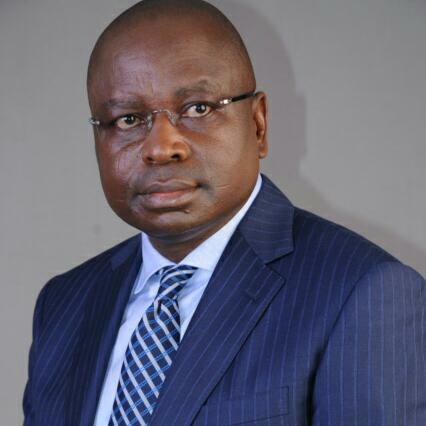 The ruling All Progressives Congress (APC) has caught another big fish in Enugu State, with the defection of a former senator and Peoples Democratic Party (PDP) governorship aspirant in 2015, Senator Ayogu Eze from the PDP to the party. 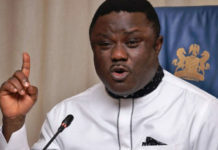 Daily Sun gathered that Eze, a two-time senator, had engaged in intensive consultation with political associates, stakeholders in Enugu and APC before joining the ruling party. It was gathered that he has registered as a member of the APC in his ward, and that a grand reception is being planned to formally receive him in the APC. 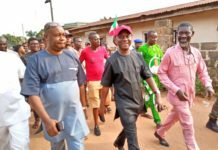 Eze’s membership of the APC caused wild celebration in party, as members see him as a strong force in Enugu, especially as they believe that his entry will give a push to the campaign to dislodge the PDP in Enugu State. 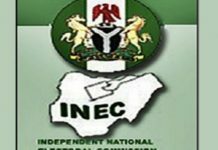 Political watchers say Eze’s entry will alter political calculations in the state ahead of 2019 general election. Associates of the senator told our reporters that it took a lot on their part to convince him to switch loyalty to the APC, arguing that their selling point was emphasis on the need to take Enugu State back to the mainstream of Nigerian politics as a way of ending the cry of marginalisation by the people. President, Chief Ken Nnamani and many others, who have decamped from PDP to APC. When contacted yesterday, Senator Eze confirmed joining the APC.